Can I give a score to my questionnaire questions? Yes, we provide two types of scoring features - custom scoring and quiz scoring. 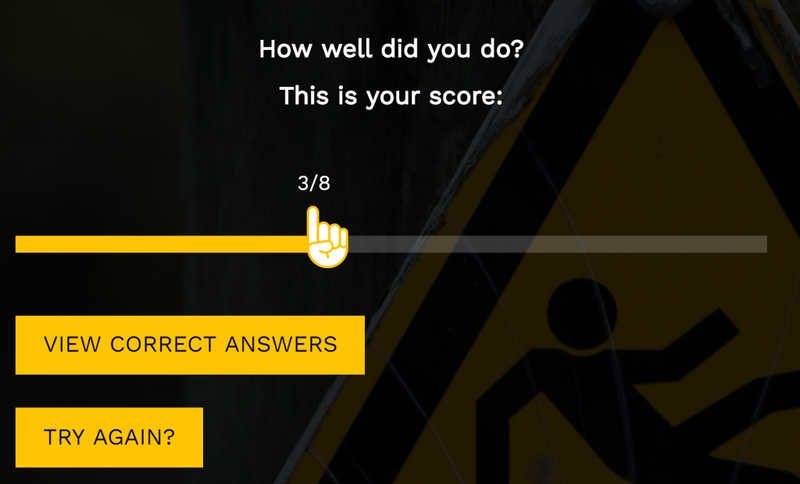 When you use the quiz capability (read the quick guide to create a quiz here) each correct answer gives you a score. The end result for the quiz is a gauge with the sum of the scores per answer. In the results pages this score will be shown as average for all respondents and a score per respondent. Read all different ways to use quiz scoring here.